Keep Up with Marvin Gardens This May! One of our favorite times of the year is going just as planned for Marvin Gardens! We have been staying busy keeping our shop full of the best garden accessories and vintage pieces that are available. Coming up, we will also be busy at various events and markets, and of course we want our readers to be the first to know about our happenings. 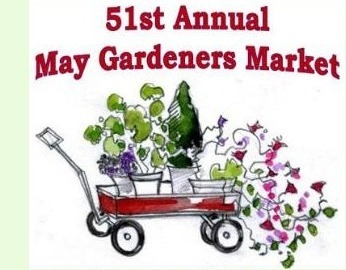 This weekend, you’ll find Marvin Gardens at the Greenwich Garden Education Center for their annual May Market. We have had the opportunity to exhibit at the event many times since Marvin Gardens began and we look forward to continuing the tradition! On May 9th you’ll find us at Heart of the Mart in Brimfield, Massachusetts for a special, one-day-only appearance. The Elephant’s Trunk is also a great place to catch Marvin Gardens coming up. We’ll be there on early on Sundays – 5:30 a.m. to be exact! Be sure to stop by our booths and say hello! And as always, you can stay updated with Marvin Gardens daily by “Liking” us on Facebook.